Elba is an innocent type vate and is one of the minor deities of Lost Illusion. She appears physically during the events of fiction Chronicles: Concert of the Morning Moon, as the handmaiden of Alice, along with Ludia. Elba wields two mystic wands named Sen Suzume Monogatari (千雀物語 One Thousand Sparrow Story). Her true name is Juuto (従人 Juuto). Elba has ruby eyes and straw hair. She reached transcendental state when she completely submitted to the will of her and her sister's violators. She symbolizes the voluntary submission to strength greater than one's own. 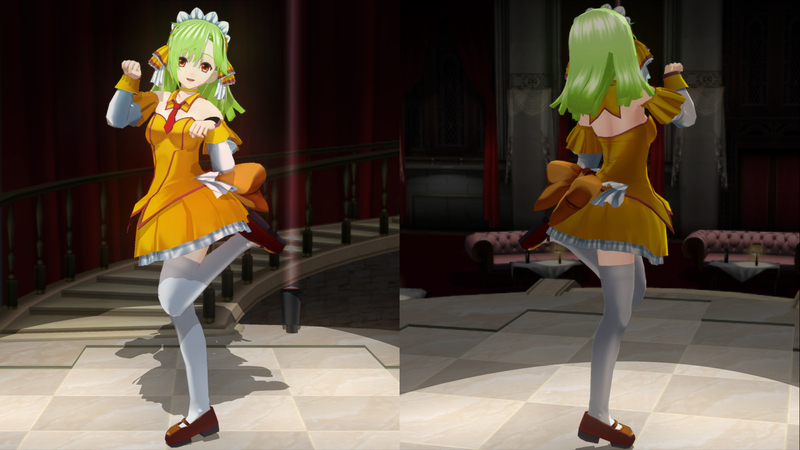 Elba's name and design are a homage from A-GA. She is 161 cm tall and weighs 60 kg. Elba was one of the quick characters developed to fill the Character Creation video. She is based on A-GA character of the same name. In the video, Elba has blue colored outfit inside of pink. I changed it so she looks more fragile. Her style is also swapped with Sera. 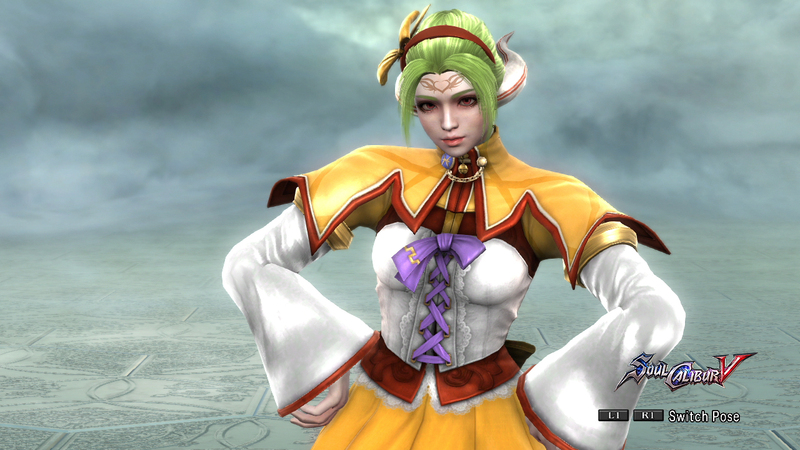 Her outfit is based on her SC4 version, recolored with recent redesign. The hair band was also added to make her look less regal and more innocent. 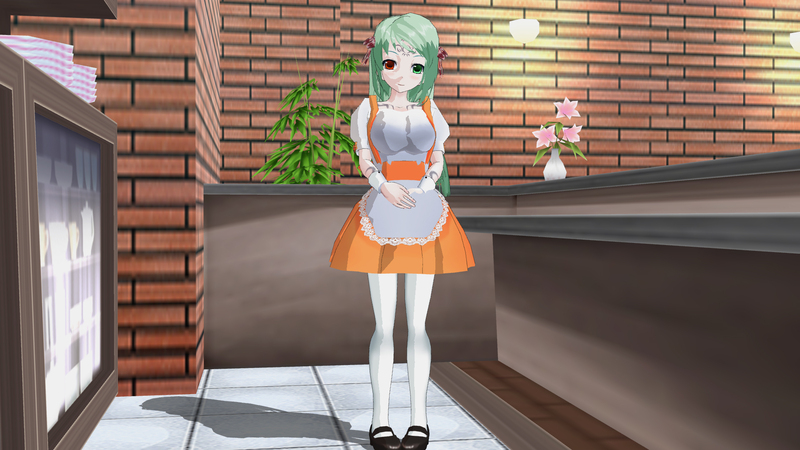 This is a Innocent Vate Itokenai outfit. 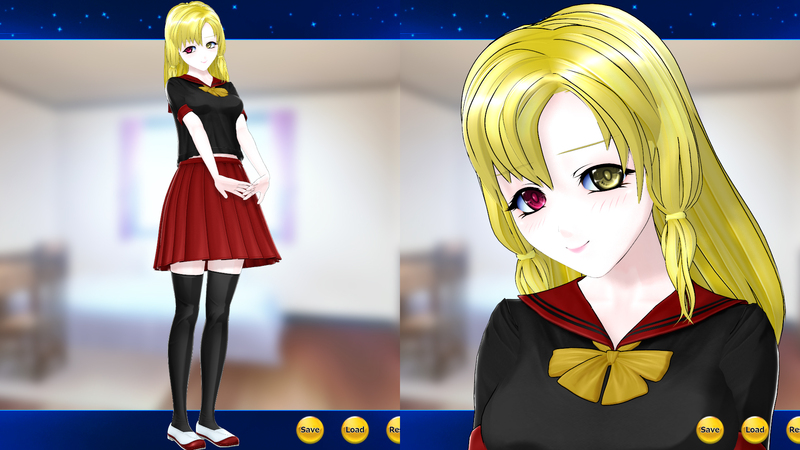 Basically it's a trainee outfit before they are appointed to Seijo (priestess). 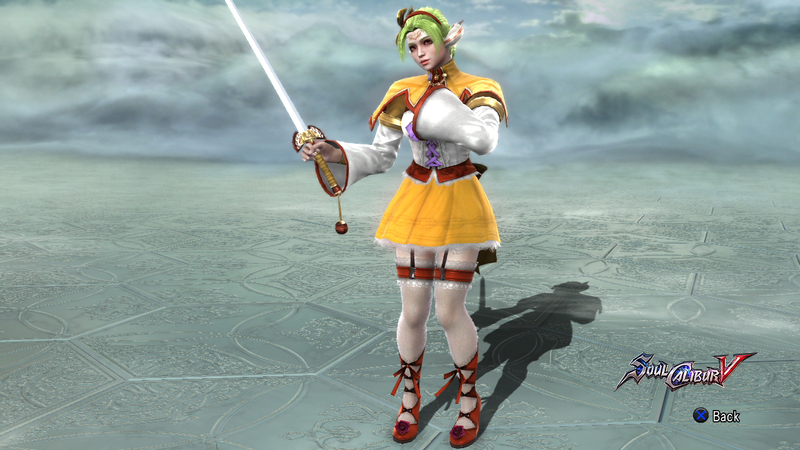 Elba is revised from her Soulcalibur look wearing more to fit the innocent type.